Around here, reading books is a regular part of our schedule. It doesn't matter what's going on, my children will stop everything to read books. If they are going stir-crazy, I sit on the couch with a pile of books and they will all gather around and sit with me...quietly...as I read. It's amazing!! My oldest is finishing up 2nd grade this year and has become quite the avid little reader so we read alot in school now too. It is just so much fun now that she can read and I love giving her new books to read when she gets bored with her old books. 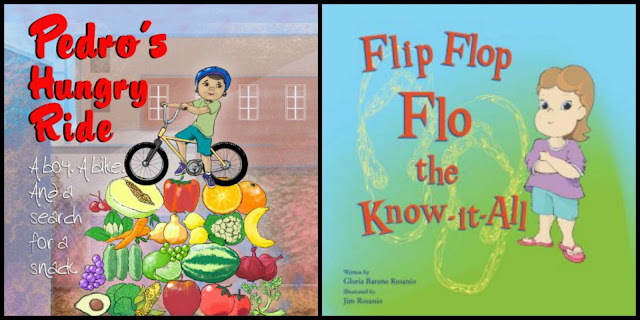 For this review, I was sent both of Gloria's books..."Pedro's Hungry Ride" and "Flip Flop Flo The Know-It-All". I was excited to read these books with my children and when they arrived, we enjoyed some wonderful reading time together. 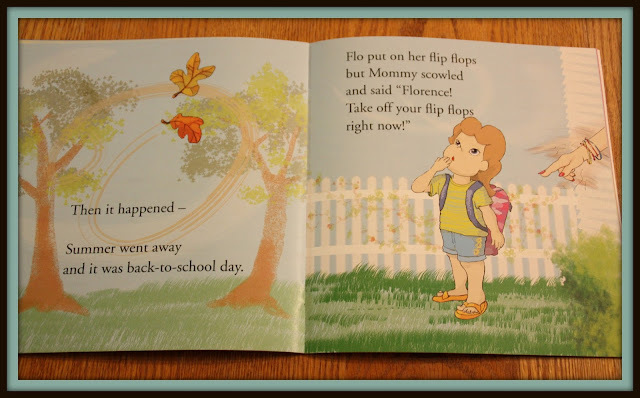 "Flip Flop Flo The Know-It-All" is a book about a little girl who loved her flip flops. She wore them all the time and hated to take them off. The story is colorfully illustrated and contains an important lesson about obedience. Flo disobeyed her mother and, in turn, had to learn a hard lesson. Obedience is something that we strive to teach our children and so showing them what happens when you disobey, was important. The only part of the book I didn't like was when they talked about how Flo knew how rainbows were made...someone painted them in the sky and it showed a picture of a man on a ladder painting a rainbow. We believe in creation and God and so when it comes to where rainbows come from, we teach our children that God created them...not a man on a ladder. I can see how a child's imagination could easily envision that though. 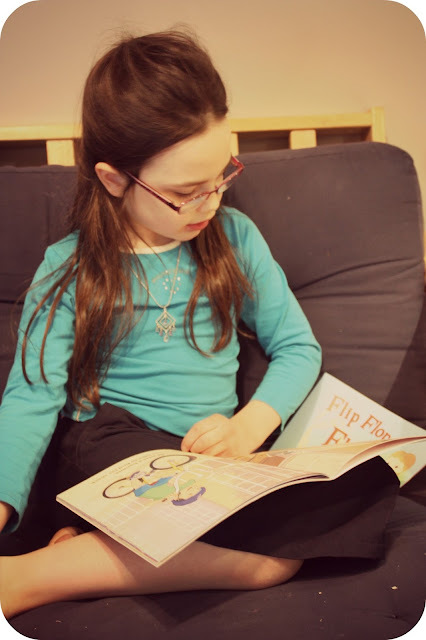 I have lost count as to how many times we have read Flip Flop Flo...it is a new favorite for my children! 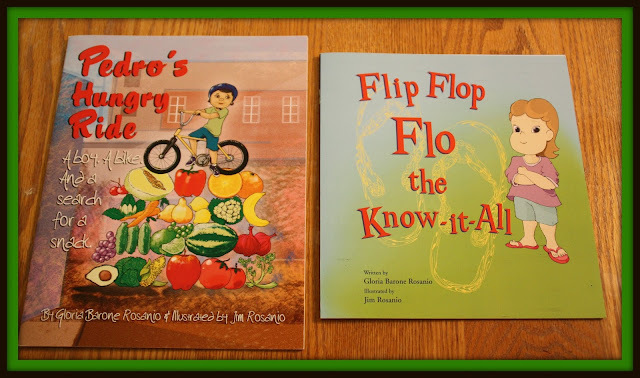 You can purchase "Flip Flop Flo The Know-It-All" on Amazon and it retails for $6.99. The second book we enjoyed reading together was "Pedro's Hungry Ride". 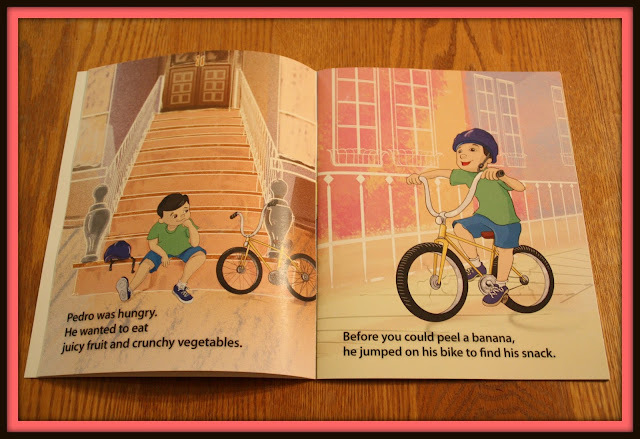 This story is all about a little boy who is craving a snack but he doesn't want junk...he wants HEALTHY food. This is such a great story because it really focuses on the emphasis of eating good foods. The problem Pedro has is he cannot find anything healthy anywhere in his town. No one has fruits or vegetables. Through his search for a healthy snack, the idea of a community garden comes into play and in the end, the entire town pitches in and a community garden is born...full of healthy veggies for everyone. It really is a cute story and my children love the colorful pictures and engaging story. This book can also be found on Amazon and it retails for $6.99 as well. So, my overall opinion of both of these books is that they are a super cute and fun read for children of all ages. It was easy for my 2nd grader to read and my littler ones understood them enough to enjoy them as well. They both teach important lessons as well, which I love. If you love to read to your little ones, check these books out today...they are fun and engaging and you will enjoy them thoroughly. Books like this with minimal text and a ton of illustrations are a great way to introduce kids to reading. These books seem really great, I can't wait until my grandson is old enough to start reading.